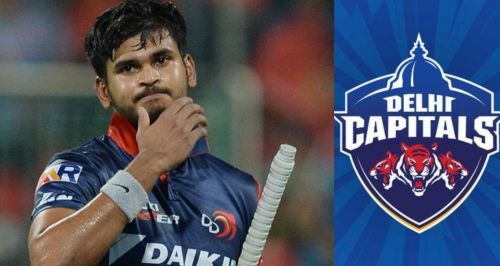 Delhi Capitals, formerly known as Delhi Daredevils, are one of the three teams along with KXIP and RCB who are yet to win an IPL title. After semifinal appearances in the first two seasons, the Delhi-based franchise finished third in the 2012 edition. Apart from that though, they have had a pretty disappointing journey so far, being the team with the most wooden spoons (finished at the bottom of the table four times). Even in the 2018 season, they finished last despite being really impressive with their style of play. Here's a look at their team ahead of the IPL 2019 season. The team, filled with youngsters and India's future hopes, have made quite a few changes to their squad this season and look a more formidable side as compared to last year. The inclusion of Shikhar Dhawan will be a huge boost in not only providing stability at the top order but also adding experience. Colin Ingram is another important addition who will be tasked with the role of handling the middle and lower middle order. Axar Patel's all-round abilities make him a big asset for the team and will increase the depth in the batting. Overall the squad looks quite formidable on paper, with almost all bases covered. Apart from the key players, youngsters like Manjot Kalra, Nathu Singh and Hanuma Vihari will hold them in good stead too. Vijay Shankar and Glenn Maxwell are the among the notable absentees from last year, who could have strengthened the squad even more this year. The possible unavailability of Chris Morris and Kagiso Rabada due to World Cup preparations might be an issue, but they have potential replacements for their slots this time. Delhi have one of the best opening pairs of the season, with the reliable Dhawan partnering the young Prithvi Shaw. Shaw impressed one and all with his strokeplay and fearless batting last season, and with increased experience he is expected to repeat his last year's performance if not better it. Pant was the leading run-scorer for Delhi last year, and was devastating yet consistent. The number 4 will be the key to Delhi's success yet again. Shreyas Iyer, the skipper, holds the all-important number 3 position. The ability to shift gears at will makes him one of the most important players to watch out for. Chris Morris is the man with the responsibility of handling the death overs, both with the bat and the ball, and hence is one of the most pivotal players for the franchise. His absence hurt Delhi badly last year, especially in the bowling department. Amit Mishra, one of the most underrated bowlers in the IPL, has been pretty consistent and has always been amongst the wickets. He will be spearheading the spin department and will be tasked to give important breakthroughs in the middle overs. Sandeep Lamichhane, the teenage sensation from Nepal, might prove to be Delhi's trump card - just like Rashid Khan and Mujeeb Ur Rehman for SRH and KXIP respectively. The leggie did trouble the more fancied names from teams like MI and CSK last year, and if given more game time and used wisely this year, he can be the one who turns games on his own. One of the best fast bowlers in world cricket at the moment, Kagiso Rabada will be spearheading Delhi's bowling attack. With the ability to pick wickets at any stage of the game, Rabada will be the go-to bowler for the captain. He might prove to be the game-changer for Delhi with the ball, something which they missed dearly last year. The West Indian pacer with the ability to hit monstrous sixes, Keemo Paul might prove to be a perfect replacement for Rabada or Morris in case they skip a part of the IPL for World Cup preparations. Probable XI: Shikhar Dhawan, Prithvi Shaw, Shreyas Iyer, Rishabh pant, Hanuma Vihari, Colin Ingram, Chris Morris, Kagiso Rabada, Amit Mishra, Sandeep Lamicchane/ Trent Boult, Axar Patel/ Harshal Patel. Tournament prediction: A likely top 4 finish after the group stage, and after that it is all about how they absorb pressure.